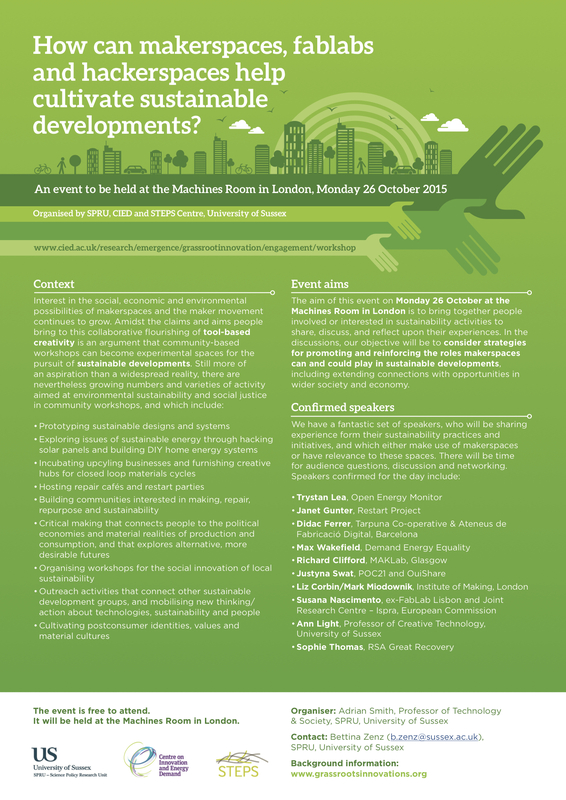 The aim of this event on Monday 26 October at the Machines Room in London is to bring together people involved or interested in sustainability activities to share, discuss, and reflect upon their experiences. Registration can be done here. And more details are here. The event is free to attend. It will be held at the Machines Room in London. In the discussions, our objective will be to consider strategies for promoting and reinforcing the roles makerspaces can and could play in sustainable developments, including extending connections with opportunities in wider society and economy.